My two-year-old daughter has reached the stage of wanting to be independent and do everything herself including getting dressed. 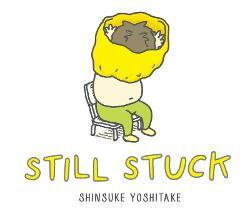 Still Stuck by Shinsuke Yoshitake was the perfect book for us to read this month because it tells the hilarious story of a young boy attempting to get undressed by himself and becomes stuck in his shirt in the process. Being a stubborn toddler, he decides that maybe he can live the rest of his life stuck in his shirt instead of asking for help. He comes up with several clever solutions to problems he encounters while stuck, but when he decides to take his pants off too, he realizes he is in real trouble. After giving him some space, his mom returns, quickly picks him up, and carts him off to the bath. While preparing for bed, he doesn’t learn his lesson and becomes stuck in his pajamas once again leaving the reader with one last laugh. There is a reason this book was on the New York Times Best Seller’s list. Kids absolutely love it! 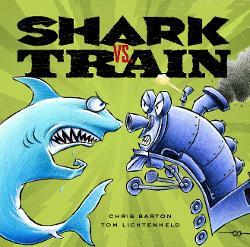 The premise is simple, two boys are playing with a shark toy and a train toy and introduce various competitions to see who is the ultimate champion. Chris Barton’s clever dialogue between the two adversaries sets the humorous tone of the story and Tom Lichtenheld’s illustrations perfectly capture each comical competition. This book is not only entertaining, it also makes kids think. They have to apply logic to determine who wins each competition. For example, during a lemonade contest, the train is seen with several cars full of lemonade serving a line of people in the hot dessert. The shark on the other hand, is under water serving a glass to a scuba diver saying “What do you mean it’s a little watery?” Kids have to process the situation presented to identify why one rival would win over the other. 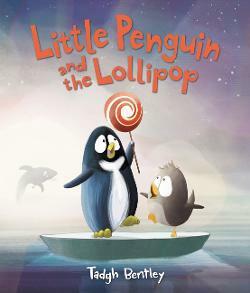 This book is both entertaining and thought provoking for children making it a real winner. 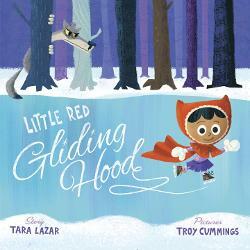 Our family loves fractured fairytales, so we were immediately drawn to Little Red Gliding Hood by Tara Lazar. This is not a retelling of the original as much as a new story with lots of fun fairy tale characters mixed in. Little Red loves to ice skate, but her worn-in-worn-out skates are about to fall apart. Luckily, she spots a sign for a pairs skating competition where the prize is brand new skates. Now all she has to do is a find a partner. Unfortunately, almost everyone is already matched up. While visiting the Three Pigs, she encounters the Big Bad Wolf. She is surprised to find that he is quite nice and has been misunderstood. Best of all, he is a wonderful skater. The crowd is stunned when the wolf appears at the competition, but they are impressed with the unlikely duo’s routine and Little Red and the Wolf take home the beautiful new golden skates. My kids loved this entertaining story. 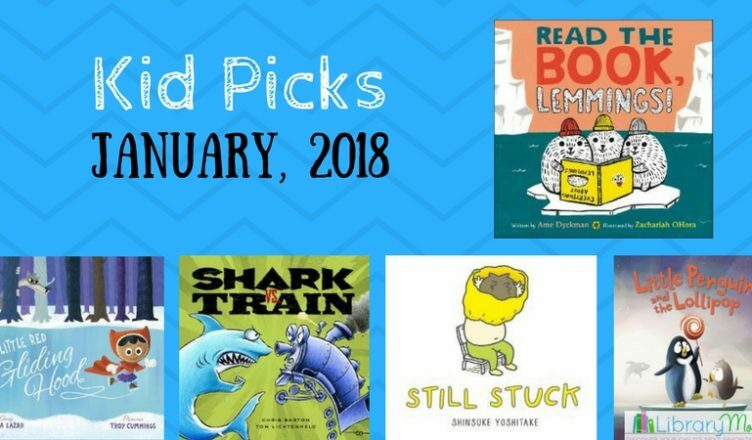 The bright pictures bring this enchanted tale alive and my kids loved pouring over the spreads featuring the variety of fairy tale and nursery rhyme characters. There are so many great details mixed into this winter story it was fun to read again and again. I love Ame Dyckman’s quirky sense of humor she brings to her books. Since my five-year-old son shares my love for funny stories, this quickly became one of his new favorites. Everyone knows that old adage of lemmings jumping off cliffs, right? Apparently, it is not true, but three illiterate lemmings don’t know that. While fishing on a ship, appropriately named the S.S. Cliff, a fox is reading a book about lemmings to pass the time. He announces that lemmings don’t jump off cliffs, but unfortunately three adorable lemmings only catch the words “jump off cliffs” and with a shout of “Geronimo” they proceed to leap off the boat. Foxy quickly pulls them up and tries to explain that they do not jump off cliffs, but when they hear the word “jump” again, back into the water they go. This running gag gets more hilarious as the story continues until Foxy finally teaches the lemmings to read, so that they will better comprehend their supposed lemming behavior. The lemmings not only learn to read, the surprise ending shows that they also discover a better way to travel off cliffs. Children usually find misunderstandings hilarious and will most likely love this book as much as my son and I. The funny dialogue between the lemmings and fox lends itself well to a read aloud to a group making this a great book for storytime or for sharing one-on-one. This is the third collaboration between Ame Dyckman and Zachariah OHora and I have really enjoyed each of their books. 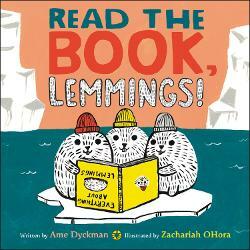 OHora’s illustrations perfectly match Dyckman’s clever text and I can’t wait to see what they come up with next!